Pansies make great flowers for any garden. Blooming in a wide array of colors, pansies are noted for their thin stems, delicate foliage and one-of-a-kind blooms. Pansies make great container plants but are able to grow as garden flowers as well. To keep your pansies around during the winter months so they are able to bloom again in the spring, you must provide them with some extra protection. Adding a few simple materials to help shield the pansies from the harsh winter conditions will do the trick. Water the pansies before covering them for the winter. Pay attention to water the soil around the pansies, and not the pansies themselves. 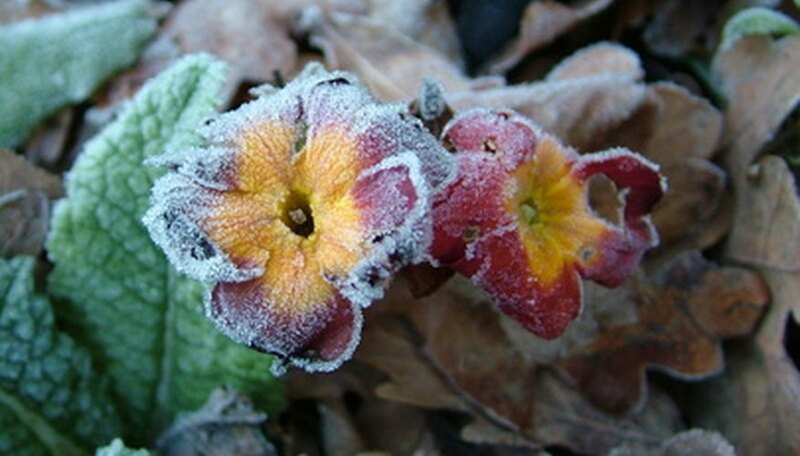 Water accumulating on the petals of the pansies can cause the blooms to freeze and break, harming the plants. Simply water the soil for best results. Clear out any debris from around the pansies after the first frost of winter. Use caution when clearing between the plants; they can easily be broken once they are slightly frozen. Gather small twigs and sticks and form a dome over the pansies. It is okay for the sticks to gently rest on the pansies. Gather enough sticks to cover the pansies thoroughly. Cover the twig and stick dome with a layer of straw and leaves. The sticks and twigs will keep the heavy snow from covering the pansies, while the hay and leaves will act as insulation. Allow the pansies to bloom during the winter if they begin to bud. Keep a close eye on the pansies, and if the twigs and sticks begin to press down on the underlying blooming pansies, rework the twigs and sticks to create a higher dome. Remove all of the materials in the spring, after the danger of the last frost has passed, and fertilize the pansies using an all-purpose fertilizer, according to the package directions. Place the pansies in an area that receives full sun during the day if the pansies are being overwintered indoors. Keep their temperature around 70 to 80 degrees F. Place the pansies back outdoors after the danger of the last frost has passed. Do not fertilize the pansies after the first frost of winter. Fertilizing promotes new growth, which you should try to postpone until warm weather.